Today I had a problem with all of our vSphere hosts in my cluster. To resolve the problem I needed to restart the management agents on each host. 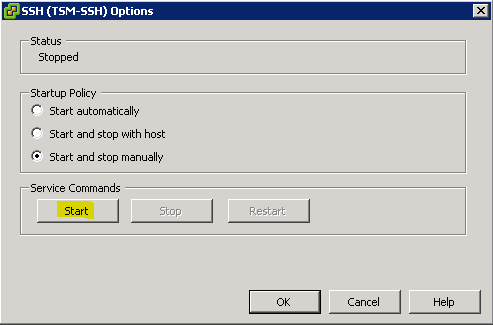 In the past with ESX there was the service console to which you could connect by using SSH and then execute the restart commands from the CLI. But since ESXi doesn’t ship with the service console this is not an option. Click the ‘Properties…’ link to enable or disable services. Click ‘Start’ to start the SSH service, now you’re able to remote connect to your host using SSH. 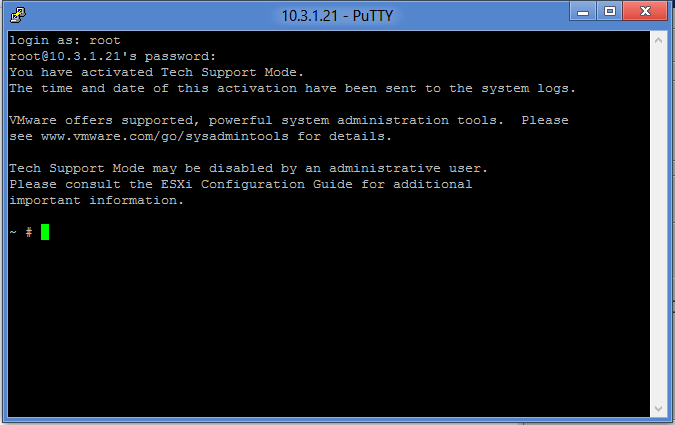 This command will restart the management services, the VMs running on the host are not affected. When you’re done is recommended to disable SSH for security purposes. This fine as long as the management services are responsive. If you’re needing to to restart management agents because you’ve lost connection to the host that is otherwise running fine (guest machines are OK), and SSH is not enabled, only solution I know of is restarting agent at the console or restarting the host. thank, just on the spot. worked very well. 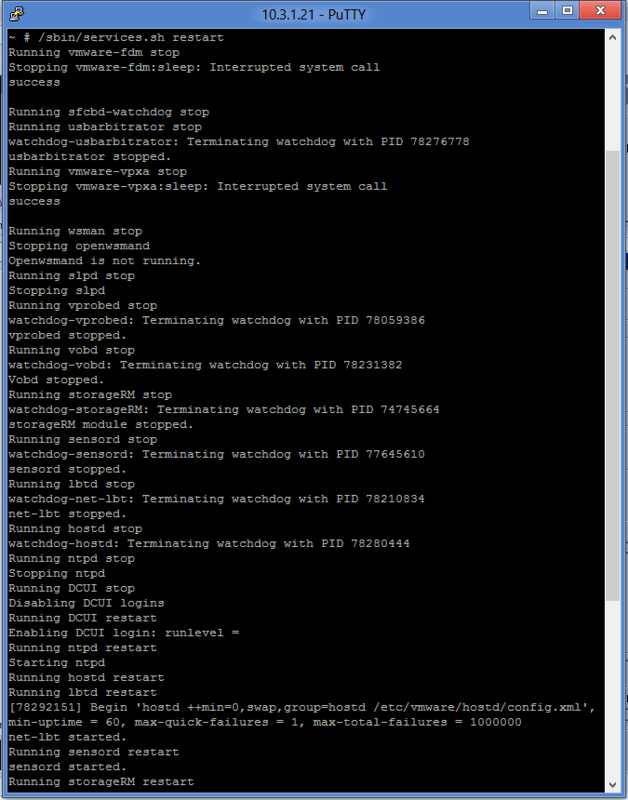 Worked on esxi5.1. Thanks a lot!